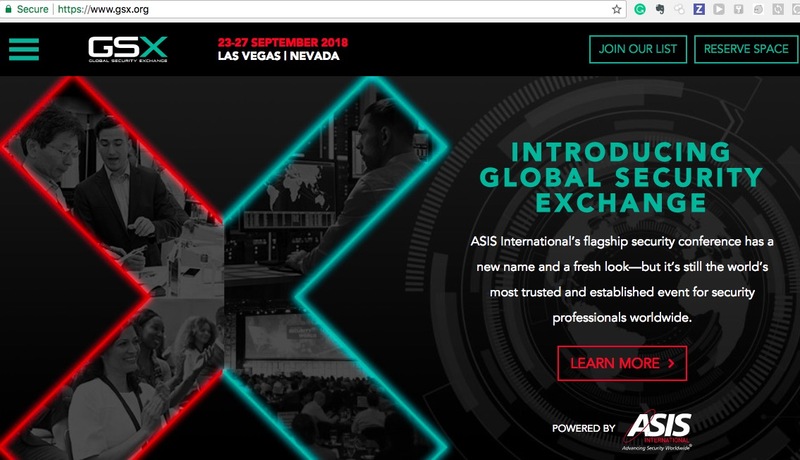 After 60+ years, ASIS is dumping its eponymous show name and replacing it with 'GSX'. This is a classic marketing mistake. For a show struggling for years, this only makes things worse. In this note, we examine the issues, compare to a historic event error and who gains from this. The meaning of an acronym is irrelevant. For instance, ASIS originally stood for the American Society of Industrial Security. Is ASIS limited to just industrial security? Obviously not. Does that mean non-Americans cannot participate? Of course not. The ASIS brand, for the conference, has value. It is clearly well known in the industry and many respect it, especially among senior security managers. Yes, the ASIS show has had its problems over the last few years but it certainly does not offset the overall goodwill and recognition ASIS has. Security Pro #1: I am going to GSX! Security Pro #1: Should I go to GSX? Security Pro #2: What's that? Never heard of it. The ASIS brand is worth millions of dollars, easily. Switching to GSX makes no sense as it will confuse many people who wonder if the event is no longer offered or substantially, and perhaps, negatively changed. This is not the first time a struggling event rebranded itself. In 2010, ISC East rebranded itself ISC Solutions, after facing downward attendance. By 2012, they changed the name back to ISC East, since the naming mainly confused things. And, in fairness to ISC, they at least kept their brand in the name, not introducing an unknown acronym. The Reed Exhibition and SIA people (who run ISC West) must be happy. Not only has ASIS rotated their event to ISC West's city, Las Vegas, they decided to rebrand at the same time. The combination of so many people just being in Vegas 5 months earlier (ISC West April 2018, ASIS GSX September 2018) and this confusing new show brand helps ISC West and could significantly hurt ASIS. In the past 2 years, ASIS has an almost entirely new management team who has been aggressive about making changes. This certainly is an aggressive one but it fails to grasp the historic value of the event's brand and the risk of changing brands for an event that generates more than half of the organization's revenue. ASIS can improve things simply by improving the event itself. Then the ASIS event brand will naturally improve as word of mouth and positive press follows. We expect them to drop the GSX re-brand sooner rather than later. Comments (41) : PRO Members only. Login. or Join.